The SPice10204 is for measuring AC currents up to 5A. That opens possibilities in motor control and general power monitoring. 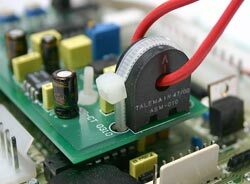 The board uses a miniature 50/60Hz current transformer in conjunction with onboard precision electronics. As a bonus you get two general purpose input potentiometers.